In The Movie Wolf, Doesn't Jack in the werewolf scenes look like and remind Du Wolverine from X Men? Do Du like Jack Nicholson and Michelle Pfeiffer as co stars? Do Du like Jack Nicholson and Michelle Pfeiffer together? Is Jack making Mehr Filme yet? a photo Wurde hinzugefügt: Mars Attacks! a pop quiz question Wurde hinzugefügt: What was his name in "Anger Management"? 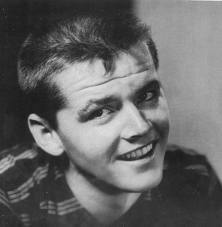 True oder False?Jack was brought up believing his grandparents were his parents?